MASSON, LOUIS-RODRIGUE (baptized Louis-François-Roderick), lawyer, militia officer, politician, and office holder; b. 6 Nov. 1833 in Terrebonne, Lower Canada, son of Joseph Masson* and Marie-Geneviève-Sophie Raymond; m. there first 21 Oct. 1856 Louise-Rachel McKenzie, and they had ten children, five of whom reached adulthood; m. secondly 12 Sept. 1883 Cecile Burroughs at Quebec, and they had three children; d. 8 Nov. 1903 in Montreal and was buried 11 November in Terrebonne. He spent his boyhood as a child of the privileged class. After taking private lessons, he was sent to study with the Jesuits, first at Georgetown College in Washington, D.C., and then at Holy Cross College in Worcester, Mass. He was obviously destined for Lower Canada’s commercial middle class, in which the English-speaking element predominated. But when he was 13 his father died, and his life changed direction. Henceforth he would grow up within his mother’s sphere, and she was under the influence of Bishop Ignace Bourget*. It was Bourget’s greatest fear that French Canadians in Montreal would be assimilated. Thus he concentrated on educating the French-speaking intellectual and social élite. 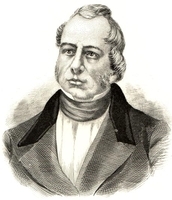 In 1847 Masson entered the Séminaire de Saint-Hyacinthe. Ten years in this “centre of national education and patriotic sentiment” made him a nationalist. The teachings of Abbé Joseph-Sabin Raymond* and Abbé Isaac-Stanislas Lesieur-Désaulniers*, as well as a period in Europe and the Near East from August 1852 to March 1854 with the latter priest as his mentor, also had a powerful impact on his thinking and values. Through Lesieur-Desaulniers, who was an ardent humanist, Masson discovered the humanistic approach to problems that would characterize his political career. Masson began studying law in the office of George-Étienne Cartier* in 1856. On 21 October he married the daughter of the rich and powerful Lieutenant-Colonel Alexander McKenzie of Terrebonne, whose father Roderick Mackenzie* had been a partner in the North West Company. This step raised his social and economic standing. 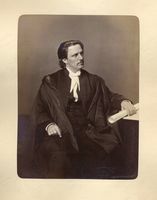 He was called to the bar on 7 Nov. 1859, but decided not to practise law and went back to Terrebonne. He was not the eldest son in the family, but his brothers Wilfrid and Isidore-Édouard-Candide* were already pursuing their careers at some distance from the seigneury. One was a merchant in England, where he would make his fortune, the other was involved in politics and dreams of colonizing the region north of Montreal. For his part, Louis-Rodrigue was attached to his family and to the place where he had grown up; furthermore, his law studies lent him credibility with his mother and other members of his family, as well as an unmistakable social influence. He became the head of the Masson clan and administrator of its assets, which included the property, the seigneurial mill, and the various enterprises bequeathed by his father. In October 1862 he joined the militia, entertaining the idea of a military career. 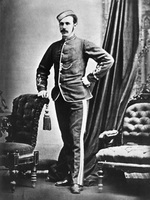 He was a brigade major in 1867, when confederation brought him into politics. The direction of his life changed but he would always be keenly interested in the organization of Canadian armed forces in which French Canadians and the French language would be given recognition. 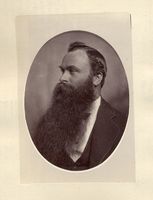 Shortly after confederation, Cartier asked Masson to run for the Conservatives. There were many anti-confederates in the riding of Terrebonne, which was then held by the Liberals. In Cartier’s opinion, Masson was “the man who could most easily contribute to unity and harmony,” and events proved him right. 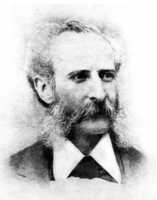 On 3 Sept. 1867 Masson was elected to the House of Commons by acclamation. Thus began a 33-year career in government at Ottawa or Quebec, and sometimes in both capitals at once, during which he was extremely influential both in public and behind the scenes. In the commons, Masson was part of the Conservative right wing, but he displayed an exceptional degree of autonomy, no doubt because party lines were not then clearly drawn and because he was politically independent, having no personal financial difficulties. He used his influence only for causes in which he believed and involved himself in them according to his beliefs. These causes were usually related to the rights of man and the rights of minorities. 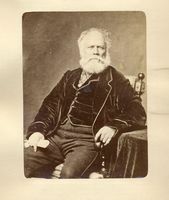 When the political and cultural rights of the French Canadian minority within confederation were the issue, Masson displayed the same enthusiasm. For many years he insisted on French – and better French – in federal government documents. Towards the end of his career in politics, he said in the Senate, “I shall object to every bill unless it is printed in French.” In the debate surrounding the creation of the Supreme Court of Canada in 1875 [see Télesphore Fournier*], Masson was very forthright in stating his demands. If Quebec were not fairly and adequately represented, the Supreme Court would put at risk the laws, institutions, and language of French Canadians within confederation and would deprive them of their national heritage. In parliament Masson had to go beyond cultural matters, especially in the period 1874–78 when he was leading the Quebec wing of an opposition weakened and bereft of its leaders by the Pacific Scandal [see Sir John A. Macdonald*; Sir Hugh Allan*]. 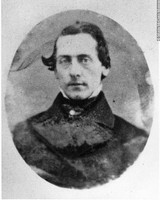 Compromised in the scandal, Hector-Louis Langevin, who had inherited the leadership of the Quebec Conservatives on Cartier’s death in 1873, had to give up the position. Masson supported protectionism because he saw it as a matter of national interest, but he wanted the policy adapted to the needs of his province’s economy. He held similar views on the transcontinental railway. He wanted it built entirely on Canadian territory, even though the cost would be higher given the obstacles of the Canadian Shield. When a railway network was being planned, he spoke up for the interests of Montreal and its hinterland. 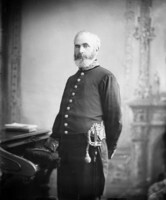 From 19 Oct. 1878 to 15 Jan. 1880 Masson was minister of militia and defence in Macdonald’s government, and on 16 Jan. 1880 he became president of the Privy Council. 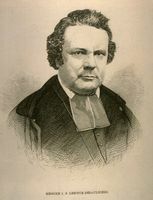 But he was weary of politics, and especially of the authority that Langevin was assuming in both government and party; burdened by problems of health and by the death of his wife, who had left him with five children, he quit the cabinet in July 1880 and resigned his seat in the house in January 1882. Henceforth he would refuse to take part in political struggles. 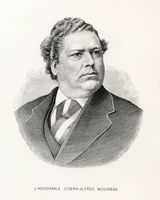 He accepted a seat in the Senate in September 1882. The next year his friends pressed him to take on the premiership of Quebec in place of Joseph-Alfred Mousseau*, who had been unable to unite the Conservative party. 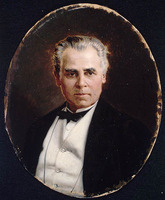 Macdonald advised: “In my opinion the peace and prosperity of your Native Province depends on the removal of the present political discontents which unhappily have divided the Liberal Conservative party there. You can remove these discontents by taking the office of First Minister if offered to you. Both sections will rally round your standard.” Joseph-Adolphe Chapleau* was even more insistent: “You alone, at this point in time, can take control. No one else can do it. You can get elected wherever you like and choose your colleagues as you wish. . . . You could form a coalition without having anyone attack you (the Liberals would have followed you in 1881); you would win acceptance from the most intransigent members, and no one would criticize you. Only you, if you wanted, would get approval for the idea of an unelected premier. . . . Only you have enough independence of character, enough influence upon public opinion to get a program accepted that would balance the provincial budget. . . . The people must make a great sacrifice, and they will only do it for a man who has himself made a great personal sacrifice for the country.” Masson stood his ground. He did not consider his services indispensable and suggested instead that John Jones Ross be appointed. He continued to sit in the Senate and from March to October 1884 was also a member of the province’s Legislative Council; from 7 Nov. 1884 until October 1887 he was lieutenant governor of Quebec; he was back in the Senate again from 3 Feb. 1890 until 11 June 1903, five months before his death. During his term at Spencer Wood, Masson concerned himself with a problem widely believed to be insoluble: the issue of the Jesuit estates. He developed a plan and submitted it to Premier Honoré Mercier*, who was also eager to find a solution to this historic and national question. In November 1887 Masson, who had just left office as lieutenant governor and was in France, went to Rome, and on 11 December he outlined to Pope Leo XIII his views on how government compensation for the expropriated estates should be distributed. The decree issued by the Sacred Congregation of Propaganda was in line with Masson’s suggestions, and on 5 Nov. 1889 Mercier was able to wind up a matter that had dragged on for more than 80 years. The steps taken by Masson were clearly those of an ultramontane who expected an authoritative move from the pope. But Masson was a moderate ultramontane and his correspondence suggests it was largely out of exasperation that he appealed to Rome. 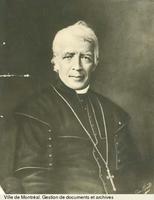 He was driven to the limit of his endurance by the systematic divisiveness that characterized relations between the bishops of the province and by the partiality of Elzéar-Alexandre Cardinal Taschereau*, which made him an ineffectual mediator. Over and over again, Masson had been the indispensable man, in truth the “saviour,” within a party often divided by a ubiquitous and disunited episcopate. At the end of his career he could only have wished for religious peace, both for the church itself and for the political authority whose effectiveness depended on it in a regime where church and state were united. [Louis-Rodrigue Masson published Les bourgeois de la Compagnie du Nord-Ouest: récits de voyages, lettres et rapports inédits relatifs au Nord-Ouest canadien (2v., Québec, 1889–90), which includes a historical sketch and notes on the documents reproduced. The work was reprinted in 1960 by the Antiquarian Press Limited of New York, no doubt because of the importance of the primary materials it contains. Andrée Désilets, “MASSON, LOUIS-RODRIGUE,” in Dictionary of Canadian Biography, vol. 13, University of Toronto/Université Laval, 2003–, accessed April 23, 2019, http://www.biographi.ca/en/bio/masson_louis_rodrigue_13E.html.